This is a step-by-step instruction showing how to get a UK virtual phone number up and running. The whole process takes about 5 minutes (however you will need to wait in-between for number provisioning). LazyPBX provides different virtual phone numbers, UK and International. The example shows a local Birmingham number which would cost you £4.99 per month. Pricing for different numbers can be found on our pricing page. Step 1. Sign up for an account. You will need to complete SMS and email validation as part of the sign-up process. 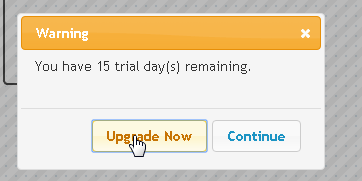 Choose to upgrade from the Trial account. You will need a credit card to proceed. 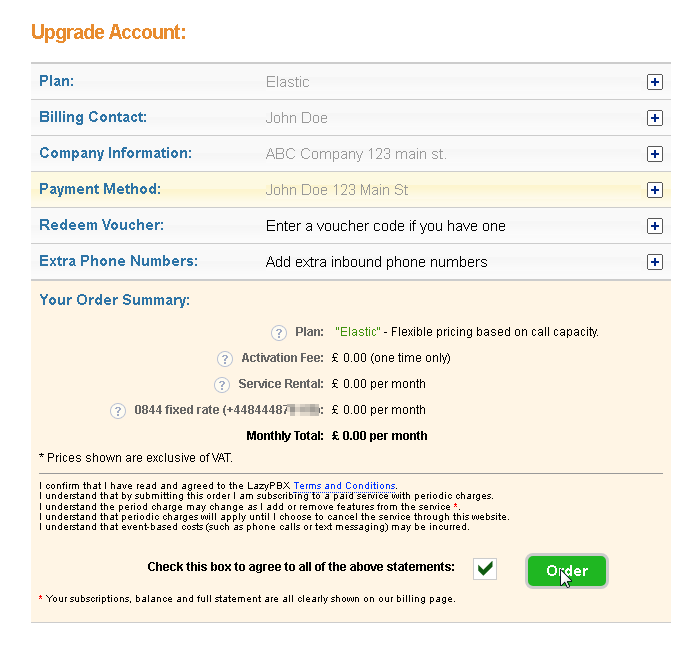 Complete all the required details on the upgrade form and submit by clicking the Order button. 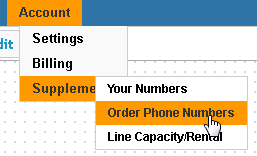 While still logged in, select Order Phone Numbers from the Account > Supplements menu. 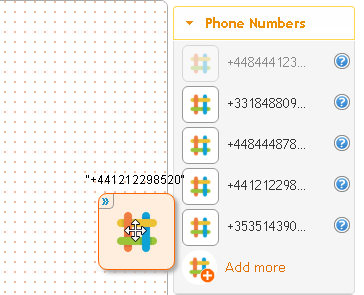 Choose the type of phone number you require, then click the Add button. Check the order basket is correct (highlighted yellow below), then finalise the order by clicking the Order button. IMPORTANT: The number will not be active immediately, you will need to wait for number confirmation via email (normally same day). 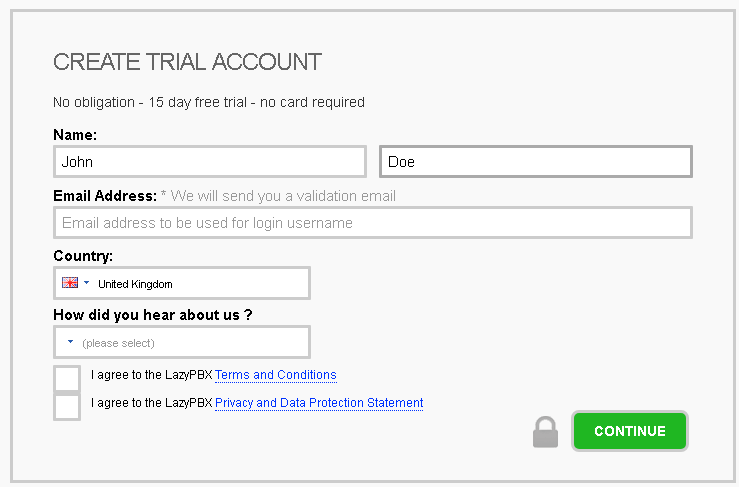 Once you have notification your phone number is ready, then login into your account at https://www.lazypbx.com/login. 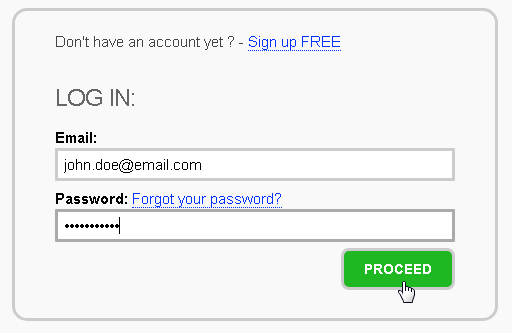 Logging in will default to the Manage page, where you can setup your new number. You will need to switch to Edit mode, do this by clicking the Edit button on the top left of your browser. 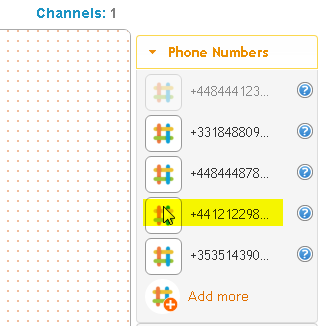 You will see phone numbers on the right hand side of the canvas (the dotted area). Grab your new number with your mouse and drag it to the canvas. Connect the number, the simplest connection is a straight divert. You do this by grabbing a Divert Call block from the Building Blocks library on the right. 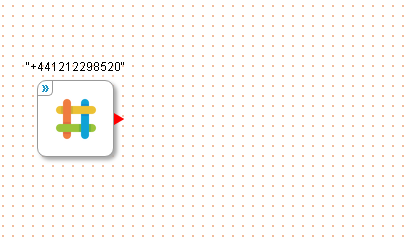 Configure the number you wish to divert to by double clicking on the DivertCall Block. Fill in the details and click Save button. Your new call flow now just needs to be made live. Do this by clicking on the Apply Changes button on the top left of the canvas. Wait 30 seconds and then make a test call to the number – DONE. 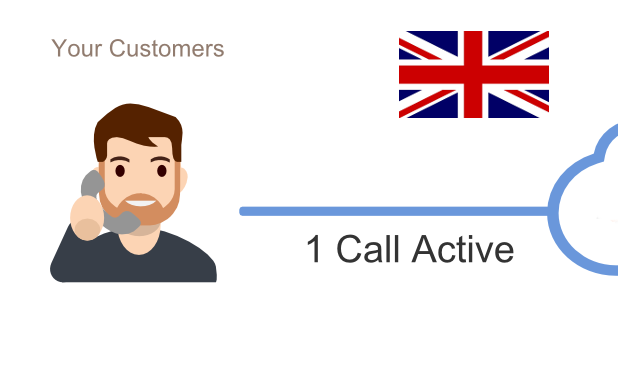 This is a step-by-step instruction showing how to get a UK virtual phone number up and running. The whole process takes about 5 minutes.